Paper is amazing. It’s an amazing material. Think about it. Until we had screens, we needed paper to transmit our information. It is the surface on which people write great novels, scribble sappy love notes, paint touristy scenes, and jot down ever-vague notes-to-self (I am particularly guilty of this last one). Paper is also one of my favorite materials when it comes to creating art. Cut paper pieces are simply gorgeous, and the shapes that can be made from plain cardstock never cease to blow my mind. I could write an ode to paper—a careless person might say that I am, right now, composing an ode to paper, but nope, it’s not a poem so it’s not an ode, okay?—but I think it’s better to just show you what can be done. 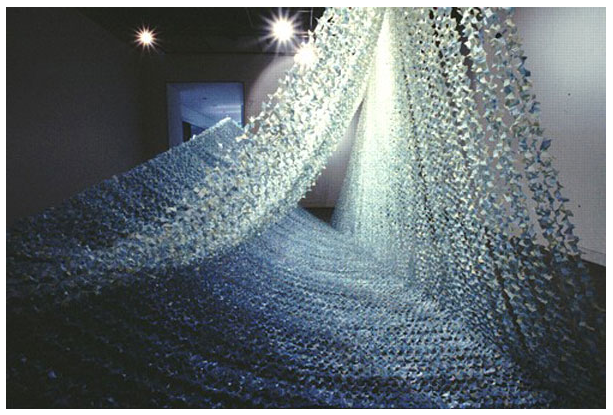 This is what Yuko Takada Keller does with cut paper. 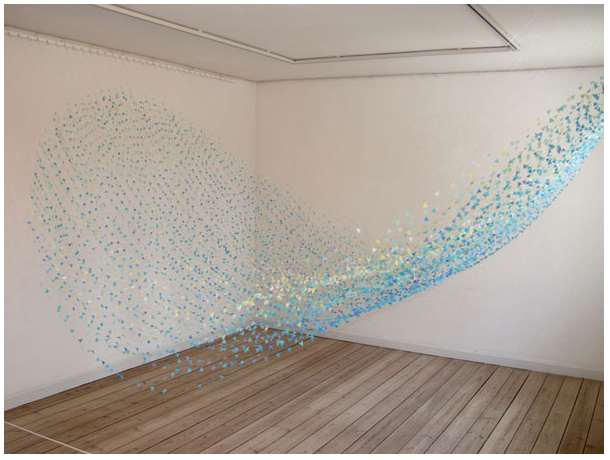 She takes these little shreds and turns them into flowing water, cascading light. 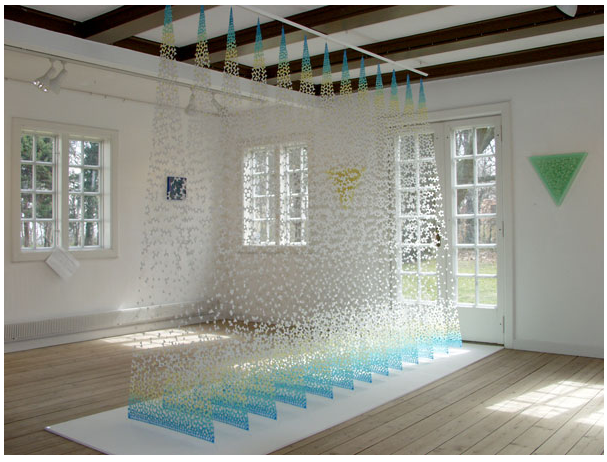 In her installations, paper denies the laws of physics and takes on any form it pleases (air, water, even fire). The many little pieces work to form something greater, something that breathes motion and mutability. And, thanks to her eye for color, they’re also just so peaceful to look at. Light greens and clear blues. In an artist statement, she said “I hoped my works would remind the viewer of something pure and natural in this world,” and oh, it does. More here. Found via Pinterest. < Previous I want to be a sketch. Next > Cross this off my bucket list. Wow– interesting stuff! Thanks for posting.